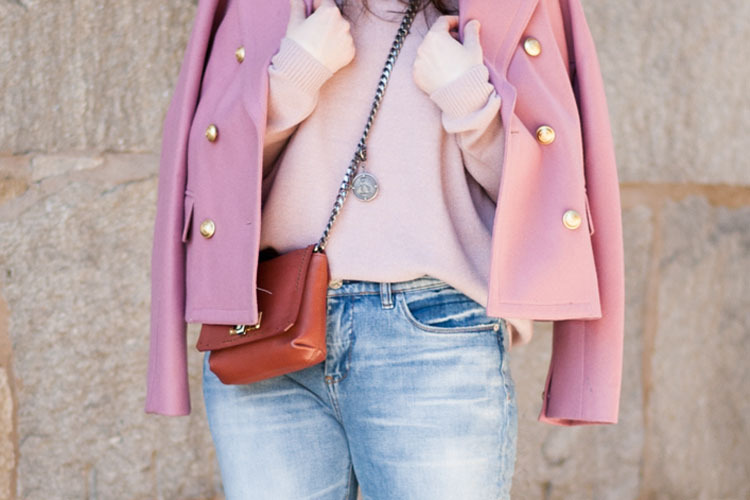 Pink and blush have gotten under my skin (I’m in love with my cashmere blush sweater), and I’ve wonder what the reason is. I think most of us, or at least the “us” who tend to wear a lot of neutrals, have been starved for color. And this season’s particular shade of pink is a safe neutral that works well with other neutrals. 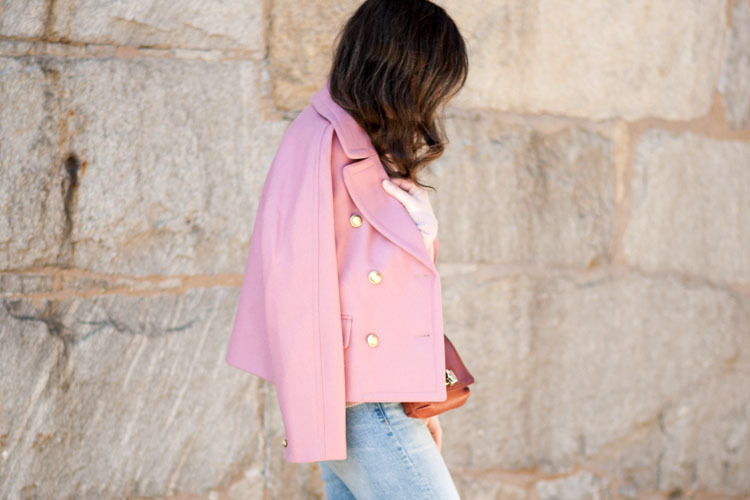 So I’ve embraced the blush trend wholeheartedly and love styling my pink and blush pieces with this season’s other great trend – ripped jeans. Yes girl! You rock that look with color! Love how you don’t define minimal as so much of black and white but with some color! Thanks Nicole! Yes, for me minimalism is more about sticking to classic shapes and using a limited color palette, rather than just black and white.